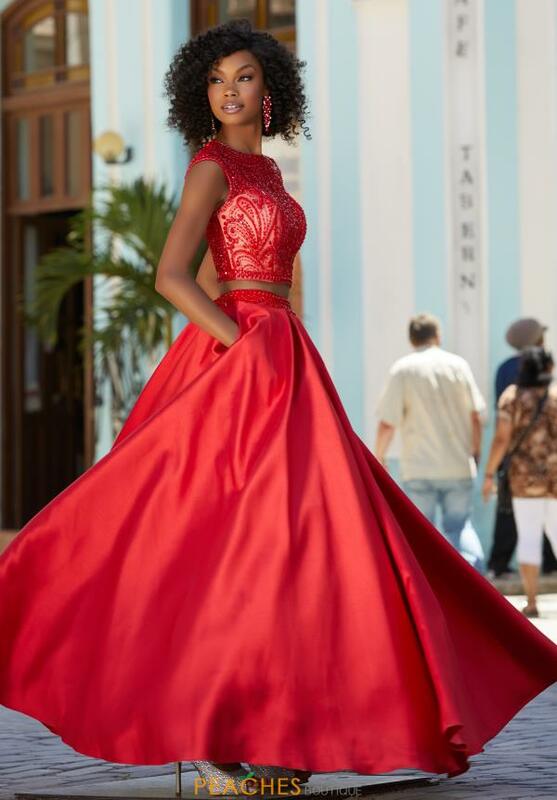 All eyes will be on you as you wear this gorgeous two piece prom dress 42051 from Mori Lee. The embellished top features a whimsical beading pattern for an intricate appearance as a high neckline and delicate cap sleeves help with comfort. A full A-line skirt cinches your waistline as pockets are a nifty addition for your night. Check out Peaches Boutique for your senior prom.